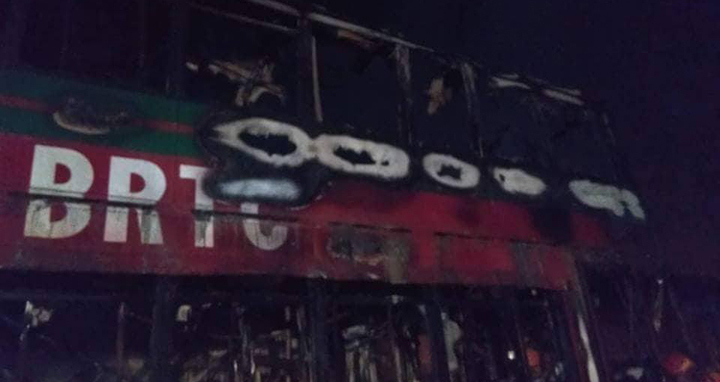 Dhaka, 9 June, Abnews: Eleven buses of Bangladesh Road Transport Corporation (BRTC) were gutted as a fire broke out at Joar Sahar BRTC bus depot in Khilkhet area of the capital early Saturday. Fire service control room sources said that the fire broke out around 1:30am, reports UNB. On information, four fire-fighting units rushed to the spot and brought the blaze under control around 4:20am. The fire gutted 11 buses kept on the ground and 1st floors. The origin of the fire could not be known yet, the fire service said.